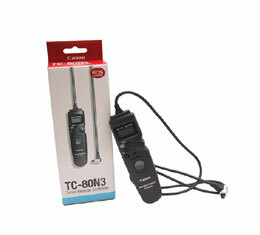 The TC-80N3 is a remote switch has a self-timer, interval timer, long-exposure timer, and exposure-count setting. The TC-80N3 has a dial which allows you to easily enter the number settings. It also has an LCD display that can be illuminated.